This typically comes up because husbands are often a few years older than their wives, and figure they want to “get their money’s worth” by taking Social Security as early as possible. I think that can be a bad move. Unless you have oodles of money to live on in retirement, you — as a couple — want to maximize your Social Security payout for the longest surviving spouse. It’s important to understand that when one spouse dies, the other spouse is entitled to just one Social Security payment. So you want the surviving spouse to have the biggest possible benefit. Here’s how: Whichever spouse is the higher earner (and thus eligible for a bigger Social Security benefit) should delay taking Social Security at least until their Full Retirement Age (FRA), which is between age 66 and 67, depending on the year you were born. Your FRA benefit is 25 to 30 percent higher than the benefit you can get at age 62. Even better is to have the high earner wait all the way until age 70. The benefit if you start then is more than 65 percent higher than the benefit you are entitled to at age 62. While the high-earner should wait as long as possible, the other spouse can start earlier, but I always encourage both spouses to delay as long as possible. I am getting divorced and haven’t worked full time. Am I going to be able to get Social Security? If you were married at least 10 years you will be eligible for Social Security based on your ex-spouse’s earnings record. Your receiving a benefit will have no impact on the benefit your ex is eligible for. There are a few caveats to understand about how this works. Most important, you can’t make a claim on an ex-spouse’s record if you remarry. (It doesn’t matter if your ex remarried.) You also need to be at least 62 years old. You can learn more about that here. 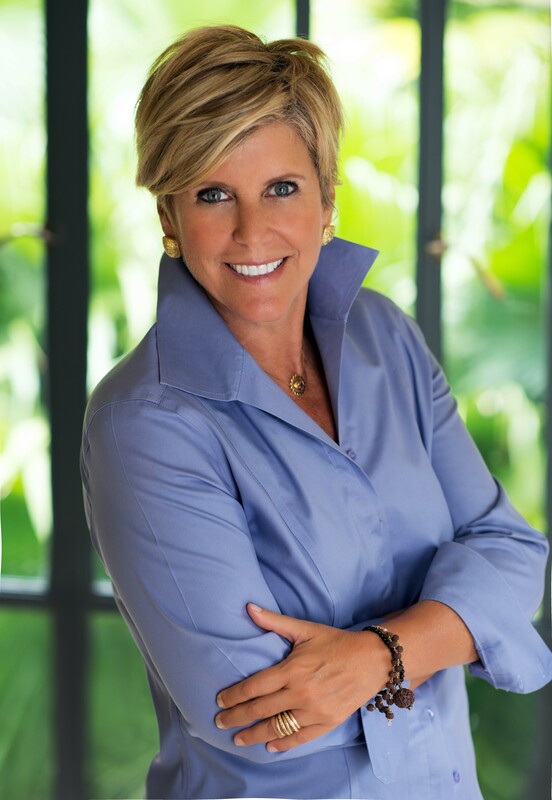 This entry was posted in Guest Bloggers and tagged age 62, age 70, Divorce, Ex Spouse, FRA, full retirement age, retirement age, retirement benefits, Social Security benefits, social security retirement, spousal benefits, surviving spouse by Suze Orman, Personal Finance Expert. Bookmark the permalink. My parents were married for ten years before divorcing. My father passed away in 1991. My mother receives a STERS teachers pension. She receives Medicare Benefits through my fathers Social Security. Is she also eligible to receive Social Security monetary benefits? If so, how does she go about applying? Many state retirees & spouses/widow(er)s get a small benefit. The money is helpful, but the inflation protection on Medicare premiums because they are paid directly from a SS benefit is golden over time. Just apply at Social Security. Hi Patricia. Generally, during the initial interview, when individuals apply for Social Security benefits or Medicare, we also check for any or other entitlement the claimant may be eligible for. If your mother is receiving Medicare benefits under your father’s record, and was/is eligible for divorced spouse benefits, we should have established those benefits at that time. Keep in mind, that if your mother receives a pension from a federal, state, or local government based on work for which she didn’t pay Social Security taxes, some or all of her Social Security divorced spouse’s benefit may be offset due to receipt of that pension. This offset is referred to as the Government Pension Offset, or GPO. Your mother can call us at 1-800-772-1213 and one of our representatives will provide a thorough explanation. Representatives are available Monday through Friday, between 7 a.m. and 7 p.m. Thanks. If a qualified ex-spouse and current spouse both draw upon the same member’s social security, is there a reduction in the benefit? Thank you for your question Julie. The amount of benefits a divorced spouse gets, has no effect on the amount of benefits the worker and his or her current spouse may receive. My Stépfather dièd in 2010, he received social security and my Stépmother is teacher retire. Does she quality to receive SS BY HIM? Your stepmother is a teacher and you can’t speak English very well, at least grammatically correct English, unless “quality” was meant to be “qualify”. Aren’t she and you ashamed. If she was a teacher, she should know how to research questions like that. The very least of which is to go to the SS office. Gustavo…so sorry about the previous mean reply to your question. The answer is, it depends upon the length of the marriage. The benefit would be limited by the government pension offset rule, but she should apply. Susan, really? You are rude and ignorant and should be ashamed. He is trying to help. We have no idea of his circumstances. Did he grow up in another country? Does he have a learning disability? If you can’t answer the question, then just be quiet. Your own English leaves a lot to be desired. “Aren’t” for example is disfavored. Your last sentence is incomplete and “which” is the wrong term to refer back to “how to research”. Get off your high horse! JKII get off your high horse, aren’t is disfavored by you because you are an elitist. Aren’t is not disfavored unless you are submitting something in a formal situation. It is a shame the educational system has gone down the tubes and no one seems to care. These people are in charge of your benefits and they will treat them the same way they benefitted from the educational system. They don’t care and can’t think creatively or constructively. They only have rote memorization at best, but lack the ability to think or research or begin to know where to go unless they are told to and where by someone else. It is a shame of which we all should be ashamed. Our blog — Social Security Matters — gives readers information about a variety of topics, including our programs, online services, current events, and human-interest stories, usually in greater detail than typically shared on our other social media platforms. Our blog encourages discussion and offers important retirement and disability-related solutions. While we welcome general participation from all of our followers, we ask all participants to please be considerate and polite to others when posting comments. Thank you for your support and for using our blog. Hi Gustavo. Please visit our “Survivors Planner: If You Are The Survivor” web page for information. I will retire at age 62 and do not plan to work after age 62. According to SSA, I will receive approximately $1900 per month if I claim at age 62. If I do not work after age 62, but use my 401K savings to fill the gap and wait to apply for social security at full retirement age (i.e., 66 and 2 months), approximately how much should the SSA amount increase above $1900 per month? Thank you. You can wait until age 70 if you wish, the longer you wait, the more there will be. Except the SS system is supposed to be bankrupt by 2025. Get your while you can. The only reason it would be bankrupt would be because the wage cap only goes up to about $118,000. We all need to demand an increase in the cap to at least $250,000. *Highly* unlikely that Social Security will be allowed to go broke & not pay benefits, and in no case as early as 2025. In specific answer to the question, the benefit will not rise as much as if you keep working, but it will rise. Very complex calculation based on 35+ years’ earnings. Website calculators are very helpful. The most recent Social Security Board of Trustees report shows that, as a whole, Social Security is fully funded until 2034, and after that it is about three-quarters financed. Sucking your 401k dry might not be prudent. Generally, if you need the SS to live on take it. David G. The Social Security website will calculate how much more you will receive. Sounds like you and I might be in the same range. If I retire at 62 I’d get $1900 and then for every year I don’t retire it’s about $150 more a month for each year. Hi David. The best way to start planning for your future is by creating a my Social Security account online. With my Social Security, you can verify your earnings, get your Social Security Statement, and much more. Also, we have a variety of benefit-calculators to help you plan for the future. Which calculator you choose depends on what you want to do. Hope this helps! I read your comment regarding “My husband wants to retire at 62 and start taking Social Security.” However, my spouse is 9 years older and she has been receiving SS for 2 years. Is that okay for me (the husband) to start taking SS at 62? I would consider it….if your spouses payment is more than yours then it may be smart since you will probably out live her since she is older and when she dies you can step up to her payment amount which is larger. If her amount is smaller than yours you may want to wait until your full retirement age or even longer before taking yours since yours will increase by close to 8% for each year you wait past your age 62 amount….if you can afford it and you think you will live past age 83 that makes total sense. After age 83 you are money ahead. Hi Rafael. The earliest age you can apply for reduced retirement benefits is 62. In addition, you may be able to get spouse’s retirement benefits if you are at least 62 years of age and your spouse is receiving retirement or disability benefits. If you qualify and apply for your own retirement benefits and for benefits as a spouse, we always pay your own benefits first. If your benefits as a spouse are higher than your own retirement benefits, you will get a combination of benefits equaling the higher spouse benefit. Keep in mind that if you begin receiving benefits between age 62 and your full retirement age, the amount will be permanently reduced. We hope this information helps. My understanding is that when congress re-assessed SS benefits they cut a lot of these types of benefits that would allow you to get “extra”. This spousal benefit on top of regular payment, I have read, was one of the ones they eliminated last calendar year. Thank you for your comment Susan. Section 831 of the Bipartisan Budget Act of 2015 (BBA) eliminates aggressive claiming loopholes related to “deemed” filing and voluntary suspension of benefits. See “What do the Recent Social Security Claiming Changes Mean for Me” for more information. I am 75 years old and am retired and have been receiving S.S. for several years. I need to find a job to supplement my S.S. income and need to know if there is a limit to how much income that I can receive without affecting my S.S. benefit. If you are over 66 years old you can work and earn as much money as you want and you will still receive 100% of your Social security payment. There is no earnings limit if you are at full retirement age. I am 63. If I start collecting SS at 66 but I continue to work, will my SS check amount increase or is it locked into when I start collecting? Your retirement is figured by dropping out your lowest 5 years from your average. If the work after 66 replaces one of those years your payment could go up. Thank you for your question Sandie. When you apply for retirement benefits, we base your benefit payment on your highest 35 years of earnings and your age when you start receiving benefits. Higher lifetime earnings result in higher benefits. Generally, if you continue to work while receiving retirement benefits, your monthly benefit amount could increase. Each year we review the records for all working Social Security recipients. If your earnings for the prior year are higher than one of the years we used to compute your retirement benefit, we will recalculate your benefit amount. We hope this information helps! I receive a VA check for my husband for Agent Orange. He passed away 5 years ago. Will this affect my as amount or reduce it and also at 66 if I choose to retire and collect my d’s checks how much can I earn a year without having to pay taxes? Thank you for contacting us Sandi. We recommend that you get a full explanation of pension income limitations from the Department of Veteran’s Affairs (VA) before filing for Social Security (survivors) benefits. In regards to working while receiving Social Security benefits, please visit our Frequently Asked Questions web page or read our publication “How Work Affects Your Benefits”, then visit our Benefits Planner: Income Taxes And Your Social Security Benefits. We hope this information helps. My husband who is older than me & is collecting disability. I have heard he will be automatically moved over to retirement when he reaches 65. Can he collect retirement from me even if I am still working when this time comes? I am the higher earner in the house and plan to continue working even then. Hi Donna. Yes, for those individuals receiving disability benefits under the Social Security Disability Insurance (SSDI) program, we automatically convert their disability benefits to retirement benefits when they attain their full retirement age (currently age 66). Generally, their benefit amount remains the same. Next, your husband may be able to get “spouse’s benefits” on your record, when you start receiving retirement or disability benefits. However, keep in mind that disability payments are established at the highest rate possible, and that his spouse’s benefit cannot exceed one half of your full retirement amount. Also, if your husband is eligible for benefits on his own record, we always pay that amount first. But if the spouse benefit that is payable on your record is a higher amount, he will get a combination of benefits that equals that higher amount. We will review his record at the time when you apply for your benefits. We hope this helps! Thank you for your question Mary. If you were born before January 2, 1954 and apply for Social Security benefits at your full retirement age, you can choose to receive only the spouse’s benefit and delay receiving your retirement benefit until a later date. If your birthday is January 2, 1954 or later, the option to take only one benefit at full retirement age no longer exists. If you file for one benefit, you will be effectively filing for all retirement or spousal benefits. Visit our “Retirement Planner: Benefits For You As A Spouse” for more information. If I am still working and my husband has chosen not to work for the last 19 years, when he turns 65 this December will his SS be higher than if he had taken it at 62???? His income amounts to rental income from properties he has inherited. He has not contributed to SS in the past 19 years. Can you settle this argument? Thank you for your question Sandie. SSA bases your benefit payment on what is called high 35, which is your highest 35 years of your earnings. SSA taxes are based on your earnings and since he has no reported earnings, he has no SSA taxes and therefore his benefit amount does not increase. So, in a nut shell, because he has not paid any SSA tax over the last 19 years, his benefits will only be higher because of the Cost of Living Adjustments. Therefore, the answer to your question is “Yes” but only due to the COLA increases. Hi Sandie. If you are eligible to retire at age 62, we use the highest 35 years of earnings to compute your benefit amount. If you do not have 35 years of earnings, we will use all of the earnings on your record. We will factor in an annual total of $0.00 earnings for each of the remaining years. You can use our Online Retirement Estimator to get estimates on your future retirement benefits. You can also create a my Social Security account to review estimates of your retirement, disability, and survivors benefits, your earnings record, and the estimated Social Security and Medicare taxes you’ve paid. They are the same. For 2017, the earnings limit is $16,920.00 whether it is a salary or working hourly. If you are under your full retirement age and working or receiving a salary, you fall under the earnings limit. SSA reduces your benefit amount by $1 for every $2 OVER the limit of $16,920.00. If you are passed your full retirement age, the earnings limit does not apply. Hi Jody. See “What happens if I work and get Social Security retirement benefits?“. I have been collecting social security disability benefits for almost 9 yrs due to a stroke and will turn 65 on Aug 31 2017. How do my benefits change? Do I receive more money monthly? Someone told me I will receive 1/3 more income. Hi Pat, when you receive disability benefits under the Social Security Disability Insurance (SSDI) program, we will automatically convert your disability benefits to retirement benefits, when you attain your full retirement age. The benefit amount will generally remain the same. I need help leaving my direct deposit to a bank and going to Green Dot card,what should I do? Time is not on my side. Hi Marion. Please contact us at 1-800-772-1213 (TTY 1-800-325-0778), Monday through Friday from 7 a.m. to 7 p.m.; or Contact your local Social Security office. Thanks. My husband died in 1991. When I turned 60 I began drawing on his social security. I will turn 65 next month. Can I draw my social security as well as his? Thank you for your question. If you receive benefits as a widow or widower or as a surviving divorced spouse, you can switch to your own retirement benefit as early as age 62. This assumes you are eligible for retirement benefits and your retirement rate is higher than your rate as a widow, widower or surviving divorced spouse. In many cases, a widow or widower can begin receiving one benefit at a reduced rate and then, at full retirement age, switch to the other benefit at an unreduced rate. Does the amount you can earn before affecting your social security retirement increase each year between 62, 63, 64, 65 and 66? Hi Timothy. The amount usually increases. For beneficiaries younger than full retirement age, the earnings limits in 2016 was $15,720. For 2017, that limit is $16,920. The new amounts are announced towards the end of each year. Visit our Retirement Planner: Getting Benefits While Working for more information. I’m 65 in September and a US national/dual passport holder working in the UK for the past 18 years – I have 39 quarters having worked and paid tax in USA – and will be eligible for a partial UK state pension. Can some of my time working in the UK be considered as part of my missing quarter? For assistance related to your Social Security benefits and Medicare, please contact your local U.S. embassy or consulate. Also, our Office of International Operations home page provides more information to assist our customers living abroad. We hope this helps! Thank you for your question Paul. Under a “Totalization Agreement“, if a worker has some U.S. coverage but not enough to qualify for benefits, SSA will count periods of coverage that the worker has earned under the Social Security program of an agreement country. In the same way, a country party to an agreement with the United States will take into account a worker’s coverage under the U.S. program if it is needed to qualify for that country’s Social Security benefits. Please visit our International Programs webpage to learn more about the Totalization Agreement between the United States and the United Kingdom. If after browsing our site and you still have questions about international Social Security agreements, we encourage you to contact the nearest U.S. Embassy or Consulate in your area. We hope this information helps. Hi Lynn. Generally, if you qualify and apply for your own retirement benefits and for benefits as a spouse, we always pay your own benefits first. If your benefits as a spouse are higher than your own retirement benefits, you will get a combination of benefits equaling the higher spouse benefit. Please read our “Retirement Planner: Benefits For You As A Spouse” or call our toll free number at 1-800-772-1213 and speak to one of our agents for further assistance. Representatives are available Monday through Friday, between 7 a.m. and 7 p.m. Thanks. Why does the SSA website make it so difficult to access our account if we can’t remember a password. They lock you out for 24-hours if you can’t recall an old phone number or other information in order to establish identity. I understand all the security, however, this is a little over the top and I still can’t access my online information. Hi Dee. We are sorry you are having issues accessing your account. Please call 1-800-772-1213 for assistance. After you hear “Briefly tell me why you are calling,” say “Help Desk” for help with the My Social Security website. Sometimes, it might be best to visit your local Social Security office for further assistance. I was born and raised in France and worked there for several years before getting married and moving to the U.S. I have been collecting social security for 14 years since I retired when I was 65. In 2004, I applied to the U.S. SS to get French S.S. in Sacramento, CA but they LOST my paperwork with the ORIGINAL documents that, like a fool, I had provided. Ever since, I have been trying to find out how I could reapply to no avail. I am now 79 years old and sure could use the small amount of French S.S. (I have two children, one of whom was born in France). Can you please help me and tell me how to go about it and also if the benefits could be retroactive? Than you so much! Hi, Gina. Thank you for your question. If you work outside the United States, different rules may apply in determining if you can get your benefit checks. The United States has bilateral Social Security agreements with 24 countries. The agreements improve benefit protection for workers who have divided their careers between the United States and another country. For more information about our international agreements, visit our International Programs webpage. For your security, we do not have access to your personal information in this venue. Since you have questions about your individual claim and you are in the United States, please call or visit your local Social Security office. If you are outside the United States, see our list of Contacts for Services outside the United States. We hope this helps. Hi Percy. Our system is set up to take applications three months in advance. You can create a My Social Security account to review your earnings record and get an estimate of your future benefits. When you are ready, you can complete the online application for your Social Security Retirement benefits in as little as 15 minutes. Benefits are paid the month after they are due. If you want to receive your first benefit payment in September, you must select your benefits to begin with the month of August. Please visit our Social Security Retirement Planner for more information. Some of SS retirees still maintains own IRA and/or 401K accounts as a supplemental mean of income , so they kind of look at SS in a different light than others who lack such supplemental means of income due to low income and high cost of living, etc. My question here is whether the more fortunate retirees are less likely to be concerned with the current plight of SS Fund than others. It is a complicated and subtle issue. My main beef with SS is that they had skipped cost of living increases at least three times in recent years which I think is way too frequent especially during the boom years of recently. Is it more because SS is relatively illiquid due to overweight investments in longer term Treasuries that are not mature yet in order to get the cash out? Treasuries bought way back in late eighties and all of the nineties yield pretty good returns at average of 5 percent more or less. I know that SS Fund is still siitting pretty on at least two to three trillion dollars worth of Treasuries , yet it cut cost of living increases every so often. I view the SS Fund as kind of mismanaged if you compare to other pension funds for state employees for example. Pension funds are allowed to invest in stocks and bonds while SS Fund is restricted to Treasuries.. I think that our stock/bond market is not large enough to support the SS Fund investments in stocks and bonds , pretty much to it. I am 7 years older than my wife. I want her to get the maximum benefit possible as a survivor. My plan is to wait until age 70 before drawing social security. My wife will turn 62, 8 months before that happens. Would this be the best option for us: Wife takes your own reduced benefit at 62 (say $1000), then I take my benefit at age 70 (say $3000), then when I die and she is over her full-retirement age, she would be eligible as a spousal survivor for a maximum benefit I was receiving ($3000). Would this be correct? Hi Jerry. Please bear in mind that the decision on when to apply for benefits is a personal one. We can only provide you with the information to help you make the best choice according to your own situation. While your wife may still be eligible to collect reduced spouse’s benefits on your record when you decide to retire, she could also qualify for widow’s benefits if she outlives you. Survivor’s benefits are paid at a higher rate, and the monthly amount she would get is a percentage of your basic Social Security benefit. Visit our “Survivors Planner: How Much Would Your Survivors Receive?” for more information. I have two former husbands I was widowed from first (20 years married) and divorced from the second (15 years married).I am 65 and working full time. I would prefer to hold off collecting on my retirement benefits as long as possible. I need some guidance am I able to collect on either husband and do I have to wait till 66 to initiate this. Any information would be appreciated. Hi, Katrinia. It appears that both of your marriages may have met the eligibility requirements needed to receive benefits as a widow and as divorced spouse. However, we are only going to pay the highest benefit amount from either record – meaning that you will only be allowed to receive one payment. Also, you can still work and receive your Social Security benefits at the same time. However, if you are younger than full retirement age and make more than the yearly earnings limit, this can reduce the number of payments you receive through the year. You can use our earnings test calculator to see how your earnings could affect your benefit payments, or see “How We Deduct Earnings From Benefits”. Please call our toll free number at 1-800-772-1213 for further assistance. Representatives are available Monday through Friday, between 7 a.m. and 7 p.m. Or contact your local office directly. We hope this helps. I will be 62 years old next year. I plan to retire. I will also collect my social security benefits as I will get a smaller amount than my husband. He will continue working until he reaches 67 or older, then collect his social benefits. Is this a common/best approach for other married couple? Hi, Ling! Please bear in mind that the decision on when to apply for benefits is a personal one. We can only provide you with the information to help you make the best choice according to your own situation. Our Retirement Planner provides detailed information about your Social Security retirement benefits under current law. It also points out things you may want to consider as you prepare for the future. We hope you enjoy our information while learning of your retirement options, including “Benefits For You As A Spouse”. Thanks! I want to apply for social security when I reach full retirement age. The online application asks when do you want to start receiving benefits. If my birthday is in the middle of the month do I my birthday month or the following month? i will be turning 65 in November. If I apply for ssi benefits now to begin in November, when will I receive my 1st check? I read somewhere that benefits are calculated based on the previous year’s income. I am currently working full time, but intend to work part time under the income limit to not lose any benefits. I am just concerned about any delay that might occur for a period where i would receive nothing in ssi. Thank you for contacting us Jerry. Your payments are established almost immediately after we process your application. Remember that benefits are paid the month after they are due. So, for instance, if you want your benefits to begin with the month of November, you will receive your first benefit payment in December. You can still work and receive your Social Security retirement benefits at the same time. However, if you are younger than full retirement age and make more than the yearly earnings limit, this can reduce the number of payments you receive through the year. For 2017 that limit is $16,920. If you apply for your benefits at age 65, and work part-time thereafter you will be considered “retired” only if your monthly earnings are $1,410 or less. If your earnings will be over the limit for the year but you will be retired for part of the year, we have a special rule that applies to earnings for one year. To learn more, see “How We Deduct Earnings From Benefits” or visit our Frequently Asked Questions web page. If you have additional questions, please call our toll free number at 1-800-772-1213, Monday through Friday between 7 a.m. and 7 p.m. and talk with one of our representatives. We hope this helps! HI THERE! i RETIRED AT 62 AND STARTED MY BENEFITS WILL MY BENEFITS INCREASE WHEN I REACH 66 YEARS OF AGE? Thank you for your question Verne. When a person begins to receive benefits at age 62 or prior to their full retirement age, their benefits are reduced. The reduction factors are permanently applied to all of the benefits the person may qualify for. I am 7 yrs older than my husband. I plan to retire at age 62 (a couple more yrs for me) My husbands earnings are significantly higher than mine. Will I be able to claim under spouse if he is younger than me? Will my amount change since he is still working? Thank you for your question, Teri. To qualify for spouse’s benefits, your husband must be receiving retirement or disability benefits. Also, when you qualify for Social Security benefits on your own record, we pay that amount first. But if you also qualify for a higher amount as a spouse later on, you’ll get a combination of benefits that equals that higher amount. Visit our Retirement Planner: Benefits For You As A Spouse for more information. Hi William, if you qualify for your own retirement benefits and for benefits as a spouse, we always pay your own benefits first. If your benefit as a spouse is higher than your own retirement benefits, you will get a combination of benefits equaling the higher spouse benefit. Please keep in mind that your spouse’s benefit amount can be equal to one-half of your wife’s full retirement amount -only- if you start receiving those benefits at your full retirement age. If a person begins to receive benefits at age 62 or prior to their full retirement age, their benefits are reduced. The reduction factors are permanently applied to all of the benefits the person may qualify for once they opt to start benefits at age 62 or at any time prior to their full retirement age. To find out if you are eligible for a higher benefit, you can call our toll free number at 1-800-772-1213 and speak to one of our agents. Representatives are available Monday through Friday, between 7 a.m. and 7 p.m. Thanks. Is there something I should be ding now to guarantee better benefits. Will ss bene fits kick inn. I have not had a job for too long during the 40 yeasts I have been married to him. Thank you for your question, Shauna. If you are the widow of a person who worked long enough under Social Security, you can receive reduced benefits as early as age 60 (age 50 if disabled). Your survivor benefit amount would be based on the earnings of the person who died. The more he paid into Social Security, the higher your benefits would be. The benefits will not be established automatically, you will have to contact us. For more information, please read How Social Security Can Help You When a Family Member Dies. We hope this helps. My wife, born in Dec 1952, is about to be 65. She will reach full retirement next year, Dec 2018, at 66. She is eligible now to get her own reduced SS of ~ $680. She is also eligible now to get a reduced 1/2 of my SS of ~$1090. Can she apply now to get her reduced SS benefit, and then next year reapply for mine and be eligible to receive the full 1/2 of my SS? Thank you for contacting us, Powell. Keep in mind that the spouse’s benefits your wife may be eligible for, can be equal to one-half of your full retirement amount, only if she starts receiving those benefits at full retirement age. If a person begins to receive benefits prior to their full retirement age, their benefits are reduced. The reduction factors are permanently applied to all of the benefits the person may qualify for. For those individuals born between 1943 and 1954, their full retirement age is 66. See our Retirement Planner: Benefits For Your Spouse for more information. Your wife may call our toll free telephone number at 1-800-772-1213 for specific questions in regards to her own retirement benefits. Representatives are available Monday through Friday, between 7 a.m. and 7 p.m. We hope this helps. If my wife took early retirement on her earnings, is she eligible to receive a spouse’s benefit based on my earnings when I start receiving benefits at age 70? What happens to my wife’s Social Security Benefits, if she worked all her life and then isn’t working for a few years before her Social Security Benefits start. Hi Mark. Generally, we use the highest years of earnings to calculate your monthly benefit amount. The amount of benefits you receive is established at the time you applied for Retirement Benefits. It is based on the amount of your average lifetime earnings and your age at the time you applied. Individuals can create a My Social Security account to review your earnings record and get an estimate of their future benefits. Your wife can can call our toll-free number at 1-800-772-1213 (TTY 1-800-325-0778) for assistance. Representatives are available Monday through Friday, between 7 a.m. and 7 p.m. Generally, you’ll have a shorter wait time if you call later in the week. We hope this information helps. I do not want to draw benefits at this time. But I do wish to register. How can I do this? To learn about Social Security retirement benefits, visit our Retirement Planner. If you have specific questions, call our toll free number for assistance. Representatives are available Monday through Friday, between 7 a.m. and 7 p.m. Thanks. I’m 65 and still employed.My wife is 62.My question is can my wife receive her ss at 62 and then collect her spousal benefits when she reaches her fra? To answer your first question, Linda: You can still work and receive your Social Security retirement benefits at the same time. However, if you are younger than full retirement age and make more than the yearly earnings limit, we will reduce your benefit. Read our publication “How Work Affects Your Benefits” for more information. Your second question seems to be about paying taxes on your Social Security benefits. Some people have to pay federal income taxes on their Social Security benefits. This usually happens only if you have other substantial income (such as wages, self-employment, interest, dividends and other taxable income that must be reported on your tax return) in addition to your benefits. Also, keep in mind that everyone working in covered employment or self-employment, regardless of age or eligibility for benefits must pay Social Security taxes. For further income tax questions, you will need to contact the IRS. Their toll-free number is 1-800-829-1040. We hope this information helps! Hi Roy, if you live outside the United States, unless a payment restriction applies, we can deposit your benefits into your account at a financial institution in any country that has an international direct deposit agreement with the United States. We will help you establish your direct deposit information when you apply for your Social Security benefits. We ask our customers living abroad, to contact their nearest U.S. embassy or consulate for any assistance related to their Social Security benefits. Read our publication: Your Payments While You are Outside the United States for more information. Also, our Office of International Operations home page provides more information to assist our customers living abroad. You can use our Payments Abroad Screening Tool to find out if you can receive your Social Security payments if you are outside the United States or are planning to go outside the United States. We hope this information helps! My husband & U reached full retirement age in 2017 but have continued working. I will retire the end of June and he will the end of October. Can I collect spousal benefits off his even though he has not yet retired? Would it be better for me to hold off on spousal benefit until 2019 because of the taxes on it? Hello Sherry, if you were born before January 2, 1954 and have already reached full retirement age, you can choose to receive only the spouse’s benefit and delay receiving your retirement benefit until a later date. See our Retirement Planner: Benefits For You As A Spouse for more information. My birthday is on the 3rd of the month and the electronic deposit is usually in the bank by now. Am I a day early….. or has the Government shutdown affected the Senior population? Hi Mary, SSA delivers benefit-payments on four days throughout the month: on the 3rd of the month and on the second, third and fourth Wednesdays of the month. Beneficiaries entitled to benefits prior to May 1997 continue to receive their payments on the 3rd of the month. Beneficiaries who filed claims on or after May 1, 1997, are assigned one of the three new payment dates (second, third or fourth Wednesdays of the month) based on their day of birth. View the Schedule of Social Security Benefit Payments for 2018 for more information. To report a missing payment, call our toll free number at 1-800-772-1213. Representatives are available Monday through Friday, between 7 a.m. and 7 p.m.
Where and how may I find out the amount Social Security entitles me to receive and the amount I actually received based on the deductions make on that amount becuse of my specific income, number of dependents, etc? I would like to know this information for the tax year 2016. I don’t think I received this years increase. MY final check $ has been the same for the last 2 years. I receive civilian service retirement currently 64 years age. Am I eligible to apply SS from former spouse ? My husband collects SSDI and is turning 65 in April. He is currently covered under my Health Insurance. My questions are What does he have to do, if anything, to go from receiving SSDI to receiving SSI? Is it in our best interest to stay with my Insurance or to go with Medicare and fi we go with Medicare does it cost a lot of money? Hi Bernadette. Social Security disability benefits automatically change to (SSA) retirement benefits when disability beneficiaries attain their full retirement age. Generally, when an individual -already- gets Social Security benefits, and becomes eligible for Medicare, we’ll automatically enroll him or her in Medicare Hospital Insurance (Part A) and Medical Insurance (Part B). However, because you must pay a premium for Part B coverage, you have the option of turning it down. Also, if you’re actively working and your husband is covered under your employer’s group health insurance program, he can delay enrollment into Medicare Part B until you stop working or the health coverage is dropped. However, we suggest that individuals speak to their health benefits advisor, or health plan representative to see what’s best for them, and to prevent any penalties or delayed enrollment in the future. For specific questions about his case, your husband can call 1-800-772-1213, M-F between 7 a.m. and 7 p.m. and speak to one of our agents. Hope this helps! I have a question. I’m on disability and have been for about 10 years now! My husband put me out when I became disabled because I was no longer able to work and help provide for our home! The question that I have is, can I draw from his SS while getting my disability because I don’t get enough to live off of and we’re still married! Hello Shelia! You may be eligible to receive benefits on your husband’s record if he is receiving retirement or disability benefits. See our Retirement Planner: Benefits For You As A Spouse for more information. Thanks. The question that I have about drawing off my husbands SS while I’m getting my disability is because we are still married, but haven’t lived together since 2007!! He has a really good job and makes really good money, but could care less about me. Unless you really know what it’s like to try and live off of SSDI or SSI it’s the hardest thing to do because it’s impossible to make ends meet! But I need to know if it would benefit me to draw his SS to supplement my income because it’s almost impossible for me to go back to work, even though I’m looking into it!! CanI switch from disability to retirement at age 63? Thanks for your question Rex. Remember that your disability payments are established at the highest rate possible, and that while you may be eligible to switch from disability to retirement benefits at age 63 your benefits will be reduced. This is because we apply reduction factors to retirement benefits if you start receiving them prior to your full retirement age. When you reach full retirement age, we will automatically convert your disability benefits to retirement benefits, but the amount remains the same. If you have specific questions about your case, please call our toll free number at 1-800-772-1213, Monday through Friday between 7 a.m. and 7 p.m. and speak to one of our representatives. My husband paid into ss for his 40 quarters. He got a job working for the City 25 years and no longer paid into ss. His pension will be approximately $4,000 a month. His current ss amount is $1,300. If i am understanding the 3/4 rule correctly, does this mean he will not receive any ss payment when he retires since 3/4 if his pension is higher then his ss? Dear Ms. Orman: I am retiring next month at age 65. I would like to work part time. What is the annual allowable maximum gross income I can earn? Thank you for your reply. Dear Ms. Orman: I am retiring next month at age 64, sorry. I would like to work part time. What is the annual allowable maximum gross income I can earn? Thank you for your reply. Hello Larry, you can work while you receive Social Security retirement benefits. When you are under full retirement age, we deduct $1 from your benefit payments for every $2 you earn above the annual limit. For 2018, that limit is $17,040. If your earnings will be over the limit for the year but you will be retired for part of the year, we have a special rule that applies to earnings for one year. See “Getting Benefits While Working” for more important information. Thanks! I’ve paid in the PERS retirement will this reduce the about of SS I can draw a month as I it’s a Mississippi State Retirement program? My husband will be 62 on Dec 28, how will our social security benefits be affected? Will one of us lose benefits? I could not find the answer. What do I need to receive social benefits from a former spouse? We were married more than 10years and have been divorced for 4 years. I am 70 years old, divorced, and receiving Social Security from my own work record. I am considering marriage to a man whose monthly Social Security earnings is much higher than mine. If we should marry, and if he should die before I do, would I benefit in any way from his Social Security earnings? Could I claim his earnings over mine after his death? And how long would we need to be married for me to benefit, if there is such a benefit? I have not been able to find the answer to this question, but people have told us that they think it is possible! Thanks! I do not have enough credits to qualify for ss monthly, payments only medicare, I am 63 years old, will turn 64 in August, can i file SS though my husband when he turns 62 in August 2018? Hello Maria. Generally, a person needs 40 credits or at least 10 years of work paying Social Security taxes, in order to qualify for almost any type of Social Security benefits, including Medicare. We encourage our customers to create a my Social Security account. With a personal my Social Security account, you can get estimates of your retirement, disability, and survivors benefits, review your earnings record and much more. You may be able to get spouse’s retirement benefits if you are at least 62 years of age and your spouse is receiving retirement or disability benefits. See our Retirement Planner: Benefits for Your Family for more information. I’m retiring 5/7/2018 I will make about 24000 at my job this year will I be penalized for making that much? I am 63. Also a man I work with will retire in Sept. he will be 65 and make about 60000 will he pay a penalty? when should I apply online for ss? when would I start receiving benefits? Hello Jim. Our system is set up to take applications three months in advance and you can apply for your benefits online. Remember that benefits are paid the month after they are due. So, for instance, if you want your benefits to begin with the month of May, you will receive your first benefit payment in June. At what age can I collect my full social security benefits and make the same salary I am now? I am 65 and will be 66 in April of 2019 and still working. Also what percentage should I take out of my social security check for taxes? Thank you. I am going to work parttime and want to know how much I am allowed to earn while receiving Social Security? I have two questions that I need answers to. I reach full retirement age next year and my husband reaches 62. Once I file for Ss can my husband collect against me and continue to work? Also my husband will insure me with his private blue cross. Will that be my primary insurance or will Medicare be my primary insurance? How do I find out my options at age 66? I am divorced after 26 years of marriage, and I’m also a widow (from the same man). Me again: I neglected to mention that I am not receiving any SS benefits at this time. I’d like to wait until I’m 70 to start collecting mine. However, can I collect my ex-husband’s SS benefits at 66? We were married 26 years. Hello Martha, a surviving divorced spouse can start receiving reduced benefits as early as age 60. In many cases, a widow or surviving divorced spouse can begin receiving one benefit at a reduced rate and then, at full retirement age or later, switch to the other benefit at an unreduced rate. If you delay your benefits until after full retirement age, you may be eligible for delayed retirement credits that would increase your monthly benefit. You cannot apply for survivor’s benefits online. If you decide to apply, you will need to contact your local office, or call our toll-free number at 1-800-772-1213, Monday through Friday, between 7 a.m. and 7 p.m. for assistance. Thanks! Can I draw Social Security and my Louisiana Teacher Retirement? I’ve retired from teaching and am working at a private business to complete my 40 quarters for my social security. Is this all I have to do to qualify for my social security benefits? Hi Margaret. Generally, a person needs 40 credits, or at least 10 years of work, paying Social Security taxes, in order to qualify for almost any type of Social Security benefits, including Medicare. A pension based on work that is not covered by Social Security (for example, Federal civil service and some State or local government agencies) may cause the amount of your Social Security benefit to be reduced. See Windfall Elimination Provision for more information. Thanks! I am divorced from a second marriage. It is the second marriage/divorce for him too. As the second wife am I entitled to his SS benefits? My wife and I are married more than 30 years. I am the higher income earner. My wife has sufficient credits but very little. Both of us are 59. I heard that my wife can receive benefits based on my earnings until I begin to claim the benefits. My questions are: 1/ Can my wife claim benefits using my earnings at 62 while I continue to work until full retirement age, 2/ If yes, how does this affect my benefits when I begin to claim it, and what would happen to her benefit when she reverted back to using her earnings, 3/ what would happen if I die? Will she continue to receive my benefits? Individuals turning 62 on or after January 2, 2016, and eligible for benefits both as a retired worker and as a spouse (or divorced spouse), are required to file for all retirement or spousal benefits they may be eligible for. The option to take only one benefit at full retirement age no longer exists. Neither are you able to “file and suspend” (at full retirement age) to allow your spouse to receive benefits on your record while you continue to work. See “What do the Recent Social Security Claiming Changes Mean for Me” for more information. Also, you must be receiving retirement or disability benefits for your wife to be eligible to receive benefits on your record. A widow can start receiving survivors benefits at age 60 (50 if disabled). We hope this information helps! i’m 65 years old and still working can i start drawing my monthly check from social securtiy say sept 1 2018, and work till march 1, 2019 than retire without any penatilys. Hi Charles, you can still work and receive your Social Security retirement benefits at the same time. However, at 65, you’re still under your full retirement age. If you are younger than full retirement age and make more than the yearly earnings limit, this can reduce the number of payments you receive through the year. For 2018 that limit is $17,040. You can use our earnings test calculator to see how your earnings could affect your benefit payments. To learn more, please visit our Frequently Asked Questions web page or read our publication: “How Work Affects Your Benefits”. We hope this information helps! I read that the year you reach full retirement age if you make more than 45,000, in the months prior to your birth month, SSA will deduct $1 for every $3 earned after you exceed that amount. Is that correct and does it apply if you wait until full retirement age to collect Social security benefits? Great question, Pamela! In the year you reach full retirement age, we deduct $1 in benefits for every $3 you earn above a different limit. In 2018, the limit on your earnings is $45,360 but we only count earnings before the month you reach your full retirement age. If you are eligible for retirement benefits this year and are still working, you can use our earnings test calculator to see how your earnings could affect your benefit payments. See our Retirement Planner: Getting Benefits While Working for more information. Thanks! I am wondering if I am collecting Social security disability and I am divorced, my ex husband retires at the end of the month, I am 59, am l able to receive his Social security payments at the time he retires? Our Benefits Planner For Retirement will provide information about “Getting Benefits While Working” & “Income Taxes And Your Social Security Benefits” as well as other important information. My sisters husband passed away on 6/1/18. He was on both social security and disability through the system. Is she entitled to collect both his social security and disability benefits via the social security system? She is not disabled. Or just upgrade to his monthly amount and drop her benefits? We are sorry to hear of your loss, Joe. Generally, survivor’s benefits are paid at a higher rate. Your sister needs to contact us as soon as possible to see if she qualifies for a higher benefit amount. It is possible for a person to be eligible to more than one benefit at the same time. However, we are only going to pay the highest benefit amount from either records – meaning that your sister will only be allowed to receive one payment. You cannot report a death or apply for survivors benefits online. We should be notified as soon as possible when a person dies. To apply for benefits, your sister can call us at 1-800-772-1213 (TTY 1-800-325-0778), Monday through Friday, between 7 a.m. and 7 p.m. She can also contact the local Social Security office. An appointment is not required, but if she calls ahead and schedule one, it may reduce the time she spends waiting to speak to someone. Thank you for your question, Sandra. If you work and are full retirement age or older, the amount you make at work will not affect your Social Security benefits, no matter how much you earn. How much can you make working part time in a month. Hello Marjorie, you can keep working and receive your Social Security retirement benefits at the same time. However, if you’re younger than the full retirement age and earn more than the yearly earnings limit, your benefits could be reduced. That limit -in 2018- for someone younger than full retirement age is $17,040. If you work and are full retirement age or older, the amount you make at work will not affect your Social Security benefits, no matter how much you earn. You can use our earnings test calculator to see how your earnings could affect your benefit payments. For more information, please read our publication “How Work Affects Your Benefits”. Thanks! How much money can I make and still collect my full Social Security benefits. Hello Jon, please see “Getting Benefits While Working” for complete information on this topic. Thanks! Getting ready to apply for social security. How is the date of receiving check determined? Hello Sybil, Social Security beneficiaries receive their payments on the 2nd, 3rd, or 4th Wednesday of the month. Your payment date is established, based on the date of birth of the person on whose record you collect benefits. See Schedule of Social Security Payments. I am a MO retired teacher collecting a small amount of mo social security and retirement. My question to you is can I draw ss from my exhusband with 12 years of marriage . I am 68. I tried 5 years ago to receive benefits from my exhusband’s ss but was turned down. Please explain why I was not able to receive any of his benefits. I am teaching remedial reading in a Kansas elementary school. I am trying to find a way to have an income that will allow me to keep my home. Your spouse’s, divorced spouse’s, surviving divorced spouse’s or widow’s benefits under Social Security may be affected by the Government Pension Offset. I receive SSI now. I reach my retirement age in January in 2019. Can I stop my SSI and get my retirement now for the rest of this year being I am entitled to my retirement in January anyway or should I wait until I trun 66. Hello Bonnie. We have strict guidelines that apply to individuals receiving benefits under the Supplemental Security Income or SSI program. First of all, SSI beneficiaries are required to report their income or resources available to them. Also, we conduct “redeterminations” periodically to identify SSI recipients who –at any time- are potentially eligible for any or other Social Security benefits on their own record and the records of others (e.g., spouse’s, widow’s, or childhood disability benefits). If an SSI recipient is insured and qualifies on his or her own record for their own retirement benefit, they are required to apply at age 62. Failure to apply for additional benefits will result in suspension or termination of their SSI benefits. Keep in mind that the SSI program is a needs-based program that pays benefits to disabled adults and children who have limited income and resources. SSI benefits are also payable to people 65 and older without disabilities who meet the financial limits. If you have low income and limited resources, you may be eligible to receive both benefits. Please call our toll free number at 1-800-772-1213 and speak to one of our agents. Representatives are available Monday through Friday, between 7 a.m. and 7 p.m. Or contact your local Social Security office directly. How much can I earn a year without paying tax on by SS? Hello Mary. Current law requires everyone working in covered employment or self-employment regardless of age or eligibility for benefits to pay Social Security taxes. Also, some people have to pay federal income taxes on their Social Security benefits. This usually happens only if you have other substantial income (such as wages, self-employment, interest, dividends and other taxable income that must be reported on your tax return) in addition to your benefits. To see what the Social Security earnings limits are for 2018 visit “Getting Benefits While Working“. For further income tax questions, you will need to contact the IRS. Their toll-free number is 1-800-829-1040. Thanks! I believe my current wife (of 4 years) has not been receiving Social Security checks as large as she should be receiving. I believe she should have had hers based on her prior deceased husband’s income. Her husband was a tenured history professor (37 years) at Southern Illinois University and had a great income. His surviving wife is receiving less than $800 monthly and that seems very insufficient to me. Do you agree? If so, what can she do not to rectify the shortfall? My mother is 92 and had Dementia/Alzheirmers ( about 8 years now). Hello Susan, it appears that your mother needs a representative payee to help her manage her Social Security benefits. Please note that having a power of attorney, or having a joint bank account with the beneficiary, is not the same as being a representative payee. These arrangements do not give legal authority to negotiate and manage payments for someone receiving Social Security or SSI payments. If you or another relative are interested in applying to become your mother’s representative payee, please contact your local office for a face-to-face interview. When friends or family are not able to serve as payees, Social Security looks for qualified organizations to be representative payees. Please read our publication: A Guide For Representative Payees. If you have specific questions, or to make an appointment, please call 1-800-772-1213. Representatives are available Monday through Friday, between 7 a.m. and 7 p.m. If I already started my benefits at 62 because of my situation at that time. Now I’m going to be 68 yrs old this year and need to get out of this abusive marriage but cannot afford a divorce. If I leave him is there any way I can get a new amount of full age benefits? We are sorry to hear of your situation, Ginger. If a person begins to receive benefits at age 62 or prior to their full retirement age, their benefits are reduced. The reduction factors are permanently applied to all of the benefits the person may qualify for. If you’re receiving benefits on your own record, you will continue to receive the same amount. Thanks. A friend is collecting his social security benefits at age 59. How is that possible? If on SSI for disability am I forced to leave SSI and take ex-husband’s retirement at 62. I need the medicaid as I am totally disabled. Thank you for your question Julie. If you are divorced, but your marriage lasted 10 years or longer, you can receive benefits on your ex-spouse’s record beginning at age 62. As per SSI’s Reporting Responsibilities, you are to inform us of any benefits you may be eligible for and thus apply for such benefits. Failure to apply could result in suspension or termination of your SSI benefits. However, depending on the benefit amount that you qualify to receive from your ex-husband’s record, you may continue to be eligible to receive SSI benefits. I was born 01/27/54. Myss#XXXXXXX. Iam presently bed ridden with a stroke while in Nigeria. The stroke set in on 12/15/2012. I can’t walk, my speech is impaired. My SSA application is somewhere with a Michael at the American embassy in London. I have been turned into a beggar here in Nigeria. No meds, no food, no accommodation, nothing. Iam an American citizen & I need help. How can someone look into this urgent destitute case? It will be appreciated. Thank you. Bernard A. Njoku. I am disabled, and 61 can I receive my retirement check and draw off my husbands check?He is in prison for life? Hello Terry, the earliest age to apply and receive Social Security Retirement Benefits is 62, but if you decide to get benefits before your full retirement age, your benefits will be reduced. You may be able to get spouse’s retirement benefits if you are at least 62 years of age and your spouse is receiving retirement or disability benefits. Please see our Disability Planner for information on this topic. Thanks! For complete information, go to “Getting Benefits While Working“. Thanks! If you are between 65 and 66 years old can you borrow or get a loan from your Social Security account before you start receiving Social Security payments at age 66? How does this affect your future Social Security payments at age 66 and after? Thanks for your question, Kathleen. Social Security does not make loans to claimants or beneficiaries. If you apply for Social Security benefits and you change your mind about when they should start, you may be able to withdraw your Social Security claim and re-apply at a future date. However, if you change your mind 12 months or more after you became entitled to retirement benefits, you cannot withdraw your application. Also, keep in mind that you must repay all the benefits that you and your family received. For more information, go to our web page If You Change Your Mind. We hope this is helpful. my husband just won abig settlement on his disability claim, we were legally married 7 years but together 10 years before we married. Would i be eligible for his benefits? I understand Michigan may not honor the common law marriage, but we do have two daughters together and I have always worked, Him on the other hand has had some back issues which led him to file for ssi. i just want to knoe if i may be eligible for benefits uder his name. Hello Laura, thank you for your questions. In cases where a common-law marriage may be involved, Social Security follows the state laws. So, check the laws in your state. For more information, please visit our Retirement Planner: If You Are Divorced. •	Age 18 or older with a disability that began before age 22. When can a person collect SS if their birthday is in June? Are they eligible as of January of the same year? Thank you for contacting us Cynthia. The minimum age for Social Security retirement benefits is 62. The amount you receive each month depends on when you start receiving benefits. You can start your retirement benefit at any point from age 62 up until age 70, and your benefit will be higher the longer you delay starting it. You can work and receive your Social Security retirement benefits at the same time. Some people who retire in mid-year have already earned more than their yearly earnings limit. That is why we have a special rule that applies to earnings for one year, usually the first year of retirement. For more information, visit our Retirement Planner: Getting Benefits While Working. If you have additional questions, please call our toll free number at 1-800-772-1213, Monday through Friday between 7 a.m. and 7 p.m. and talk with one of our representatives. I’m divorced and was married 14 years. I’m 62 and he’s 63. He retired from Delta Airlines. He’s drawing a pension and social security benefits. Can the ex wife draw on his pension? I worked the first 5 years of our marriage and almost died in an auto accident. The thoracic aorta in my heart was torn and aneurysms. It was about to explode. If Jesus hadn’t literally held my heart in His hands for three days I would not be here! Needless to say it took years to get over! So I couldn’t work and began raising my grandchildren until they started to school. Between the year 2001 and 2015 when we divorced I had 9 surgeries several very serious especially my heart which almost cost me my life. I draw SSI $750. I can now draw on his social security benefits up to $800 but is there a way to draw on his pension too? He left me/deserted me with no income or place to live. I’m just wondering if there’s any way to draw more so I can afford to live! Please help me understand! Thank you so much! P.S. I greatly appreciate it and all the work you do for people like me to be able to understand the law. Also if you could get back to me ASAP I would appreciate it more! Time is a huge factor here! Hello Patricia. We can only provide information concerning Social Security programs and benefits. According to current guidelines, individuals receiving benefits under the Supplemental Security Income (SSI) program, who are insured and qualified on their own record for their own retirement benefit, or are potentially eligible for any or other Social Security benefits on their own record and/or the records of others (e.g., spouse’s/divorced spouse or widow’s benefits), are required to apply at age 62 or as soon as they become eligible for those benefits. Failure to apply for additional benefits can result in suspension or termination of their SSI benefits. To apply or to make an appointment with your local Social Security office, please call our toll free number at 1-800-772-1213. Representatives are available Monday through Friday, between 7 a.m. and 7 p.m. Thanks! I have been retired for 5 years & am going back to work. I am 68. Will I keep getting my SS benefits? Hi Roger, thank you for the question. When you reach full retirement age, your earnings no longer reduce your benefits, no matter how much you earn. CAn I receive part of my husband social security. We are 66 and I am not drawing ssi yet. Hi Vicki, thank you for your question. You may be able to get spouse’s benefits but, under existing law, if you are eligible for benefits both as a retired worker and as a spouse, you must apply for both benefits and you’ll receive the higher of the two benefits. This requirement is called “deemed filing” because when you apply for one benefit you are “deemed” to have also applied for the other. Hello. By percentage, how much does social security increase per year after 62? I beleive there is a chart that gives this information. The date of birth is April 1958. Hello Nancy, if a worker begins receiving benefits before his/her full retirement age, the worker will receive a reduced benefit. A worker can choose to retire as early as age 62, but doing so may result in a reduction of as much as 30 percent. In the case of early retirement, a benefit is reduced 5/9 of one percent for each month before full retirement age, up to 36 months. If the number of months exceeds 36, then the benefit is further reduced 5/12 of one percent per month. To compute the effect of early or delayed retirement, click here! I will retire February 11,2019 I will be 66 years old. When will I receive first SS check? Hi Thomas, thank you for your question. Social Security benefits are paid the month after they are due. So, for instance, if your benefits begin with the month of February, you will receive your first benefit payment in March. The exact payment date is determined by your date of birth. For future pay days, you may find the Schedule of Social Security Payments calendars useful. Also, the year you turn full retirement age, the earnings limit increases. For example, for individuals turning full retirement age (66) in 2018, the earnings limit is $45,360 but we only count earnings before the month they reach full retirement age. Beginning with the month they reach full retirement age, earnings no longer reduce their benefits, no matter how much they earn. Visit our Retirement Planner: Getting Benefits While Working and our Retirement Earnings Test Calculator. Hope this helps! My husband(81) was honorably discharged from the Army National Guard in NC in 1963 and has not received any benefits. Is he entitled to any? IIAABA notice that all the years I worked and I get less then my sister she only worked less then 10 years? I notice on my statement that for 2 years my ex husband put me with 0 income? I did worked as a realtor at that time and I made over 10,000 every year? Hi there, thank you for the question. See our Frequently Asked Questions web page for details on how to correct your earnings record. I’ll be 62 next year my husband will 64. Can I get his SS and mine? Hi Lynn, thank you for the question. If you qualify for your own retirement benefits and for benefits as a spouse, we always pay your own benefits first. If your benefits as a spouse are higher than your own retirement benefits, you will get a combination of benefits equaling the higher spouse benefit. See our Frequently Asked Questions web page for details on eligibility for spouse’s and retirement benefits. I have another small pension, how will this effect my SSI benefit? I am drawing social security now. I am working part time and paying into social security. Will my social security payments be recalculated because I am working part time and still paying social security? Great question, Howard. Each year, we review the records for all working Social Security recipients to see if additional earnings may increase their monthly benefits. I was told that when my spouse retires next year, my SS premium will increase because he has earned significantly more than I did. I’ve been on SS for almost 3 years. Hi Kathleen, thanks for using our blog to ask your question. For you to qualify for additional spouse’s benefits on your husband’s record, he must be receiving retirement or disability benefits. When your spouse files, you may also qualify for a higher amount on his record as a spouse and may be able to get a combination of benefits that equals the higher amount. Visit our Retirement Planner: Benefits For You As a Spouse for more information. What if you lose your sign in password? Hi Loren: See our Frequently Asked Questions web page for information on how to retrieve or change your password. If you encounter a problem, you may call us at 1-800-772-1213 (TTY 1-800-325-0778), Monday through Friday from 7 a.m. to 7 p.m. At the voice prompt, say “helpdesk”. I receive sociial security benefits for me. My huband died in Febuary 2016 why dont I receive his benefits as I was his legal wife when he died. I retired at age 62 due to a medical disability. Does that have an effect on my wives benefit when she retires at age 66? Hello Ken. Keep in mind that if your wife qualifies for Retirement Benefits on her own record, we will pay that amount first. If the benefit on your record is higher, she will get an additional amount on your record so that the combination of benefits equals that higher amount. See “Benefits For Your Family” for more information. Thanks! We’ve been told that when my husband retires this next year, my SS benefit will increase to around half of what he’ll receive. My benefits are much lower that his and I started full retirement benefits almost 3 years ago. Is this true and how can I figure the amount? ?? Spouse BD 5.4.51 filed & suspended benefits @ FRA of 66. Spouse @ FRA w/ BD 9.11.52 filing for spousal benefits. Can spouse receive spousal benefits while spouse has filed & suspended or need to wait to receive spousal benefits until spouse is receiving benefits no longer filed & suspended? Hi Helen, thank you for using the blog. The new rules for voluntary suspension resulting from the Bipartisan Budget Act are effective for requests to suspend benefits submitted April 30, 2016 and later. I’m divorced and am getting remarried. I am 65, will I be able to collect a portion of my new husband social security? Hi Connie, thank you for the question. Current policy indicates a spouse must meet a 1 year duration-of-marriage requirement but there are some exceptions. Check out our Benefits For Your Spouse web page for more details. My birthday is 01/23/1953. I want to get the full social security benefit. When can I apply the social security full benefit? May I apply 3 month prior to my 66 birthday? Hello Charlie. If you were born between 1943 and 1954 your full retirement age is 66. Our system is set up to take applications four months in advance. You can apply for your benefits online. Remember that benefits are paid the month after they are due. So, for instance, if you want your benefits to begin with the month of January, you will receive your first benefit payment in February. Please visit our Social Security Retirement Planner for more information. Thanks! IS THERE A CAP ON WHAT I CAN EARN AT AGE 66 ? Great question Katherine, if you were born January 2, 1943, through January 1, 1955, then your full retirement age for retirement insurance benefits is 66. If you work and are full retirement age or older, the amount you make at work will not affect your Social Security benefits, no matter how much you earn. Please read our publication “How Work Affects Your Benefits” for more information. Thanks! Great question, Michaelene. Each year, we review the records for all working Social Security recipients to see if additional earnings may increase their monthly benefits. If an increase is due, a new monthly benefit amount is established on your record automatically. Thanks! Does working part time reduce my future social security checks, sine the part time pay is approximately 15% of my active working years pay? Averaged $120,000 last, t ten years working and now make $18,000 working part time. Current age 69. Hello Monte. When you apply for retirement benefits, we base your benefit payment on your highest 35 years of earnings and your age when you start receiving benefits. Our Retirement Estimator gives estimates of monthly Social Security benefits based on your actual Social Security earnings record. Am I able to change the date I receive my SS check? I don’t receive my check until the second Wednesday of the month. This month it is the 14th. I have bills due the first part of the month that I’m unable to pay. Which that causes late fees or over draft fees. I really need to receive my check the first Wednesday of the month. I did at one time receive at that time. Hi Gary, thank you for your question. If your wife is receiving Social Security benefits on her own record, we pay that amount first. But, if she also qualifies for a higher amount on your record as a spouse, she may be able to get a combination of benefits that equals that higher amount. Visit our Retirement Planner: Benefits For You As A Spouse for more information. Your wife can inquire about additional spouses benefits by calling our toll-free number at 1-800-772-1213. Representatives are available Monday through Friday, between 7 a.m. and 7 p.m.
Hi Lucinda. Social Security disability benefits automatically change to retirement benefits when disability beneficiaries become full retirement age. The law does not allow a person to receive both retirement and disability benefits on one earnings record at the same time. In addition, Social Security will automatically enroll you in Medicare after you get disability benefits for two years. I draw benefits less than half of that of my spouse of 50 years. If I apply for spouse benefits, do I continue to draw my benefits plus half of his benefit amount? Carolyn, thank you for your question. Your benefit as a spouse can be equal to one-half of your husband’s full retirement amount. If you qualify for your own retirement benefits and for benefits as a spouse, we always pay your own benefits first. If your benefits as a spouse are higher than your own retirement benefits, you will get a combination of benefits equaling the higher spouse benefit. Visit our Retirement Planner: Benefits For You As A Spouse for more information. How long does it take to receive your first check when you apply for social security? Hi Hildann, thank you for your question. It’s hard to say without knowing what type of Social Security benefit you applied for. All Social Security benefits are paid a month behind. The exact payment date is determined by your birthday. For future pay dates, you may find our Schedule of Social Security Payments useful. Keep in mind that you can also check the status of your application online in your my Social Security account. Thank you for your question, Dan. You can download the form or call the IRS toll-free at 1-800-829-3676 and ask for Form W-4V. When you complete the form, you can choose to have 7, 10, 12, or 22 percent of your monthly benefit withheld for taxes. Go to our Benefits Planner: Withholding Income Tax From Your Social Security Benefits for more information. My husband is 8 years younger than me. Will I have a reduced pension. And when can I retire? If a person retires at age 62 and collects a SS payment can he or she reapply at age 67 for the higher amount? Hello Tim. If a person begins to receive benefits at age 62 or prior to their full retirement age, their benefits are reduced. The reduction factors are permanently applied to all of the benefits the person may qualify for. You cannot re-apply for a higher benefit. Thanks! After my death can my wife elect to receive my SS payment in lieu of her SS payment? Hi Kevin, thank you for your question. Your wife’s survivor amount is based on your earnings. The more you paid into Social Security, the higher her benefit will be. If you are already receiving reduced benefits when you die, survivors benefits are based on that amount. Widows benefit are payable as early as age 60 (for a reduced benefit) or a full widows benefit at full retirement age or older. If your wife is receiving retirement benefits on her own record, she can only apply for benefits as a widow if her retirement benefit amount is less than the benefits she would receive as a survivor. Use our Survivors Planner to look at how your family members are protected if you die. My birthday is 27 April 1948 and my monthly payments are supposed to be automatically deposited the Wednesday after the 27th of the month. I understand that but some months it is the Wednesday before due to the length of the month. Hi, Cindy. To find a schedule of Social Security benefit payments, click here. Thanks. I am retired an receiving social security, my husband is planning on retiring in 3 yrs. do we both get social security checks? If I am on SSI disability and I am under the age of 75 .when my husband dies can I collect his SSI benefits? Hi Michelle, thank you for your question. Your survivor benefit amount is based on your deceased spouse’s earnings. The more he paid into Social Security, the higher your widow’s benefit will be. If he was receiving reduced benefits when he passed away, the survivors benefit will be based on that amount. Use our Survivors Planner for more information on survivor benefits. Hope this helps. I turned 62 a the end of april this year. I have continued to work and make over the yearly limit of 17000. I was not paid my ssi for the first four months because of the penalty. First question: Is my whole year’s salary used to determine the penalty or does it start the month I turned 62? Because it appears I have been charged the penalty for the full 12 months. Why am I being penalized for the four months I wasn’t even 62 yet?? I am barely over the limit if the first 4 months is not counted. Thank you for using our blog to ask your question, Randy. Your spouse’s income will not affect your Social Security disability benefit. If your spouse is receiving benefits, then her income could affect her benefits. Read our brochure What You Need to Know When You Get Social Security Disability Benefits for details on what you must report to us. Will I still get social security checks in my checking account – direct deposit each through the goverment shutdown? Hi Elizabeth: Social Security is not affected by the government shut down. All payments will be made on schedule. I heard I could begin taking my social security, yet at a smaller amount. Hi Mary. Thank you for your question. The amount you’re allowed to earn while receiving benefits depends on your age. If you attain full retirement age (66) in 2019, the earnings limit is $46,920 but we only count earnings before the month you reach full retirement age. Beginning with the month you reach full retirement age, earnings no longer reduce your benefits, no matter how much you earn. If you’re under full retirement age for the entire year, then we deduct $1 from benefit payments for every $2 earned above the annual limit. For 2019, that limit is $17,640. Hi Patricia. Thank you for your question. The amount you’re allowed to earn while receiving benefits depends on your age. If you’re under full retirement age for the entire year, then we deduct $1 from benefit payments for every $2 earned above the annual limit. For 2019, that limit is $17,640. I have been collecting social security on my own work record….can I change and collect from my husband’s. Hi, Mary. If you are eligible for retirement benefits on your own record, we pay that amount first. If the benefit on your spouse’s record is higher, you will get an additional amount on that record so that the combination of benefits equals that higher amount. Find more information at our Retirement Planner: Benefits for Your Spouse. For additional assistance, contact us at 1-800-772-1213, Monday through Friday between 7 a.m. and 7 p.m. and ask a representative to assist you. Generally, you’ll have a shorter wait time if you call later in the day. You can also contact your local office. We hope this helps. I am getting ready to sign up to received my SS benefits when I turn 66 on 4/1/2019. Hi, Marcia. Your husband may be eligible to collect benefits on your record when you apply. Remember, if someone is eligible for both, his or her own benefit and for benefits as a spouse, we always pay their own first. If their spousal benefits are higher than their own retirement benefits, he or she will get a combination of benefits equaling the higher spouse benefit. Please visit our Retirement Planner: Benefits For Your Spouse for more information. Thanks. I start collecting my social security in March, I am still working. How much can I make without penalty and does it count for the first year even if I start collecting in March? Thanks for your question, Steven. The earnings limit in 2019 for those under their full retirement age is $17,640. If you retire mid-year, we count your earnings for the entire year. We have a special earnings test rule that we apply to annual earnings for one year—usually the first year of retirement. Also, check out our publication, How Work Affects Your Benefits, for more information. We hope this helps! If I accept my benefits now and my husband retires in 5 years, it is my understanding that once my husband retires, my benefits will increase – collecting mind and a portion of his equally spouse benefits. It that correct? Also, if we filing our income tax jointly, are my benefits taxed, even if I make only a salary of $8,000.00/yr?? If I die before my wife will she receive any of my SS benefits? Hi Monte, thank you for your question. Your wife’s survivor amount would be based on your earnings. The more you paid into Social Security, the higher her benefit will be. If you are already receiving benefits when you die, survivors benefits are based on that amount. The percentage of that amount that your wife would receive depends on how old she is when she files as a widow. We are only going to pay the highest benefit amount from either record, meaning she won’t get both her own retirement and widows benefits but the higher of the two. I asked may times on line to SS before and never received any replies. Question: my wife of 37+ years is not a us citizen nor a green card holder, and only live in the US a total of 3 years, so she can not receive SS in her name. Can she receive SS based on my SS when I past away, we live overseas and she would remain living overseas? I was born in the USA and retired and Started drawing SS payments at age 65 one year before full payments at age 66. Hi Richard, thank you for your question. To inquire and file for benefits, you would need to contact your nearest Federal Benefits Unit for assistance. We also recommend that individuals that live outside the United States visit our Office of International Operations home page, which provides additional information for our customers living abroad. What type of form do you have to fill out to empower you to manage your parent(s) social security if they should become disabled? Hi, Pam. Generally speaking, if we decide the beneficiary is incapable of managing or directing the management of his or her benefits, we will select someone to serve as his or her representative payee. If you are interested in applying to be a representative payee, you should read our publication: A Guide For Representative Payees, to understand a payee’s responsibilities. If you have specific questions, or to make an appointment, please call 1-800-772-1213 (TTY 1-800-325-0778) between 7 a.m. to 7 p.m. to speak to one of our representatives. Or you can contact your local Social Security office. Generally, you’ll have a shorter wait time if you call later in the day. We hope this helps! Hi, Orlando. Some people have to pay federal income taxes on their Social Security benefits. This usually happens only if you have other substantial income (such as wages, self-employment, interest, dividends and other taxable income that must be reported on your tax return) in addition to your benefits. See our Benefits Planner: Income Taxes and Your Social Security Benefits for more information. For any income tax questions, you will need to contact the IRS. Their toll-free number is 1-800-829-1040. We hope this helps. Hello. I am turning 66 this March which is my full retirement age. My husband is 63 and getting disability ss benefits. Should I be taking his benefit and letting mine grow as his benefit is more than mine. I am anxious because I need to make up my mind by my birthday . Any help would be appreciated. IF I were to pass away before my legal age of retirement. Would my wife still be able to collect my retirement benefits. Thank you for your question, Ramon. Your wife could be eligible for reduced widow’s benefits as early as age 60 (age 50 if disabled). For more information, please go to our Survivors Planner page and read our publication, How Social Security Can Help – When A Family Member Dies. We hope this helps. My husband is 89 years old and is drawing social security. I am 66 years old and I also draw social security. When he dies, can I draw his social security check? His check is almost double the amount of mine. I am not drawing off his check. Can I switch over to his check instead of mine? Hi Mathia, thank you for your question. The amount of your widows benefit is based on several factors, including: the earnings of the person who died, when the deceased worker started receiving their benefits, your age at the time of your spouse’s death, and the amount of your own retirement benefit. We compare your own benefit with your potential survivor benefit. If your survivor benefit would be higher than your own current retirement benefit at the time of your spouse’s passing, you would be eligible for survivor benefits. Typically, a widow or widower at full (survivors) retirement age or older generally receives 100% of the deceased worker’s amount, a widow or widower under full retirement age receives about 71 to 99 percent of the worker’s benefit amount, and a widow or widower with a child younger than age 16 receives 75 percent of the worker’s benefit amount. For more information about how much your benefit would be, visit our Survivors Planner. I’m effective on Medicare 3/1/2019 and covered under my spouse group plan. How does the coordination of benefits work? Hi, Linda. Unfortunately, your question is a bit more complex than we can handle in this forum. For your security, we do not have access to information about your account in this venue. To get additional information on Medicare benefits, check out Medicare‘s website. For more information about coordination of benefits, you may wish contact your insurance provider or your local Medicare SHIP (State Health Insurance Program Coordinator) . We hope this helps. I have the minimum credits to retire at a minimum wage. I am 62 and 11 months. What would my benefits be? Hi, Ruth. Good news! You can use our Online Retirement Estimator to obtain estimates on your future retirement benefits. You can also create a personal my Social Security account review estimates of your retirement, disability, and survivors benefits, your earnings record, and the estimated Social Security and Medicare taxes you’ve paid. We hope this helps. Hi Allen, thank you for using our blog to ask your question. When we figure out how much to deduct from your benefits, we count only the wages you make from your job or your net profit if you’re self-employed. I turned 63 on December 22, 2018 and my estimated monthly social security is at $1933/month. If I decide to start collecting on November 1st of 2019 will that be prorated? Or will it be the same until I turn 64? Hi Richard, thank you for using our blog to ask your question. To compute the effect on your benefit amount if you file for early or delayed retirement benefits, use the Early or Late Retirement Calculator. Me and my spouse are both working.So we all have retirement income when we reach age 62.If I pass way,will she get my social security benefits,even though she has her own? If husband and wife both receive social security and one dies is the other entitled to spouse social security? Hi Andrea, thank you for your question. The amount of a widow(er)s benefit is based on several factors, including: the earnings of the person who died, when the deceased worker started receiving their benefits, the survivors age at the time of their spouse’s death, and the amount of the survivors own retirement benefit. We will compare your own benefit with your potential survivor benefit. If your survivor benefit would be higher than your own current retirement benefit at the time of your spouse’s passing, you would be eligible for survivor benefits. Typically, a widow or widower at full (survivors) retirement age or older generally receives 100% of the deceased worker’s amount, a widow or widower under full retirement age receives about 71 to 99 percent of the worker’s benefit amount, and a widow or widower with a child younger than age 16 receives 75 percent of the worker’s benefit amount. For more information about how much your benefit would be, visit our Survivors Planner. I am divorced and my ex husband just got social security disability benefit. I believe my two children under my care and custody are entitled to a social security disability through him. I also believe i am not entitled to a benefit as a divorced woman under 62 years of age. But I wonder if in addition to my children being eligible under him, if they are entitled (or me) to a percent of any lump sum settlements for back pay or retroactive pay? Please confirm all the above including questions. Thank you. Hi, Anne. Thanks for your question. In certain cases, children may qualify for family benefits. Visit our Frequently Asked Questions to learn more information. At this time there is not a way to apply online for family benefits. You will have to contact your local Social Security office, for further assistance. An appointment is not required, but if you call ahead and schedule one, it may reduce the time you spend waiting to apply. Representatives at our toll-free number, 1-800-772-1213 (TTY 1-800-325-0778), are available between 7:00 a.m. and 7:00 p.m., Monday through Friday. You will generally have a shorter wait time if you call later in the day. We hope this helps! I am trying to understand the tax obligation of your social security benefits. I know that they calculate 1/2 of your social security with all of you other incomes and if your adjusted gross income is between 25,000 to 34,000 you will be taxed on 50% of your benefits. My question here is, if my adjusted income is less than 25,000 then I am not taxed on my social security and if my adjusted income is say 25,001, am I going to be taxed on the 1 dollar over the 25,000 limit or am I taxed on 25,001? Hi Lyle, thank you for your question. Check out our Benefits Planner-Income Taxes And Your Social Security Benefit for information on taxation of Social Security benefits. For questions on taxation laws and rules, contact the Internal Revenue Service (IRS) at http://www.irs.gov or by calling their toll-free number at 1-800-829-1040. Hi, Antoinette. It sounds like you are age 62 this year. To begin receiving reduced retirement benefits at 62, you are required to be age 62 for the entire month. For SSA purposes, only individuals born on the first or second day of the month are considered age 62 for the “full” month and could be entitled to benefits for the month of their 62nd birthday. Retirement benefits are paid the month after they are due. So, for instance, if you want your benefits to begin with the month of February, you will receive your first benefit payment in March. Check out our Benefits Planner: Retirement web page for more information. We hope this helps. How much am I going to be penalized for earning 24,530 in 2018? Hi, Peggy. You can still work and receive your Social Security retirement benefits at the same time. However, if you are younger than full retirement age and make more than the yearly earnings limit, we will reduce your benefit. If you are under full retirement age for the entire year, we deduct $1 from your benefit payments for every $2 you earn above the annual limit. For 2019 that limit is $17, 640. This limit changes in the year you reach full retirement age. To learn more, visit our Frequently Asked Questions web page or read our publication, How Work Affects Your Benefits. If you have specific questions, you can call our toll-free number at 1-800-772-1213, Monday through Friday between 7:00 a.m. and 7:00 p.m. and speak with one of our representatives. Generally, you’ll have a shorter wait time if you call later in the day. We hope this helps.